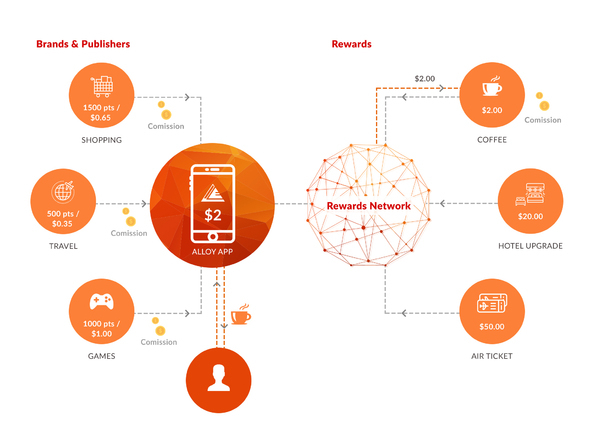 The Alloy Global Rewards Network is an app-based platform that allows publishers, brands, and consumers to link, combine, and convert all their collected rewards points into local currency so that they can then be redeemed for listed products and services of partnering companies. ALLOY tokens are the reserve/anchor currency for the entire ecosystem and the medium of exchange for conducting transactions on the Global Rewards Network. Using ALLOY tokens, partnering brands and publishers can set the exchange value for their reward points that will govern redemption in the ecosystem. To fund the development of the new Global Rewards Network, the team is conducting a token sale where it aims to sell half of its 100 million ALLOY tokens issuance to raise around $25 million. The token sale will start on November 25 and will run for one month until December 25, 2017. ALLOY tokens will be for sale in exchange for bitcoin (BTC) and ether (ETH) and can be purchased on the Alloy ICO page. According to Codemojo, 48 trillion reward points, which carry a perceived value of $360 billion, are sleeping on member accounts. These reward points are not being redeemed because over half of surveyed consumers are not aware of their reward point balance or are not interested in the rewards offered. Furthermore, over a third of consumers were not aware of the exact value of their reward points and more than half thought that it takes too long to earn enough points to make them worthwhile redeeming. The Alloy Global Rewards Network aims to tackle this problem by developing a blockchain-powered platform that allows consumers to collate all their reward points from various brands and publishers and convert them into fiat currency that can then be spent on products and services on the platform. The Alloy team is run by CEO Vijaykrishna Ramanathan who also heads Codemojo, the India-based company behind the Alloy ICO and the Global Rewards Network. Vijay has over ten years of experience in consulting. He is joined by CTO Shoaib Mohammed, an experienced software engineer, and a small team of marketers and developers. Codemojo already has a functional rewards platform that brings together brands, publishers, and consumers. Through this token sale, the company wants to integrate blockchain technology and its native digital token into its existing platform and expand into new markets. Since the company has built an existing product already, it seems that the team can deliver on their plans. This is something for which smart investors always look before investing in an ICO. 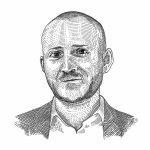 In most cases, contributors are purely investing in the team’s ability to deliver. The ALLOY token is an ERC20 Ethereum token that will act as the reserve currency and medium of exchange of the Global Rewards Network ecosystem. For example, a consumer in India with reward points on the Global Rewards Network can redeem his or her points with a local brand in London when he is there on holiday. This creates a borderless rewarding and redemption experience for users. To enable this, the platform will use REPAC (real-time points adoptions and conversion) technology that allows local currency transactions between parties through the use of blockchain technology and ALLOY tokens. This preserves the value for all stakeholders (consumers, brands, and publishers) by converting all currencies and in-house reward points into one common currency – ALLOY tokens – in real-time and through the use of smart contracts. ALLOY token holders who hold their tokens in the official ALLOY wallet will benefit from cashback upon reward points redemption, additional discounts on the platform, and free reward points with specific partnering brands. During the token sale, half of the total token supply of ALLOY will be distributed to investors. However, it is not very clear at what rate the remaining 20 percent that will be held by the team and the 30 percent that will be reserved for the platform will hit the secondary market.This puts a question mark on token supply management, which is something of which investors are not very fond since supply affects demand. The team has set up all major social media channels including Twitter, Facebook, Slack, and Telegram, and there is a very active thread on the BitcoinTalk forum. However, in the last two weeks, the team has been less responsive on social media, which is odd given the token sale being scheduled for November 25. Codemojo has open-sourced its smart contract code on GitHub for inspection. The Alloy ICO is one of the few token sales where a functional product already exists, which means you are investing in more than simply an idea. The Codemojo team already runs a large rewards network and is looking to migrate its network onto the blockchain to create a borderless global rewards network. The integration of the blockchain and digital currency makes business sense for this type of platform as it increases ease of payment as well as transparency for all involved parties. Having said that, the company has only managed to raise around 120 ETH during its pre-sale according to its Pre-ICO thread on the BitcoinTalk Forum. This only amounts to around $35,000, which suggests that investor demand for this project – despite its viability and pre-existing product – is rather low. Should the project not raise substantial funds to migrate its platform onto the blockchain and expand into new markets, then its tokens will most likely not gain in value once they start trading in the secondary market. If the project, however, manages to do better during its official token sale than during its Pre-ICO or if it receives further funding from other sources to complete its blockchain integration, then the value of ALLOY tokens may have the potential to increase over the coming years, if the company manages to attract more brands, publishers, and consumers to its platform. Sign up for free email updates about ALLOY here. 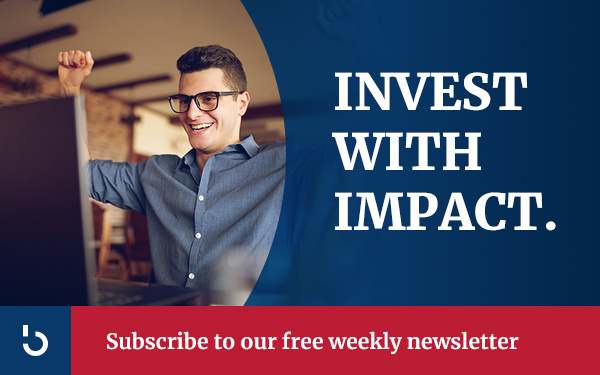 To make the best investment you can make today, subscribe to the Bitcoin Market Journal newsletter!